A young actress took her own life when she was unable to come to terms with losing her mother to breast cancer. 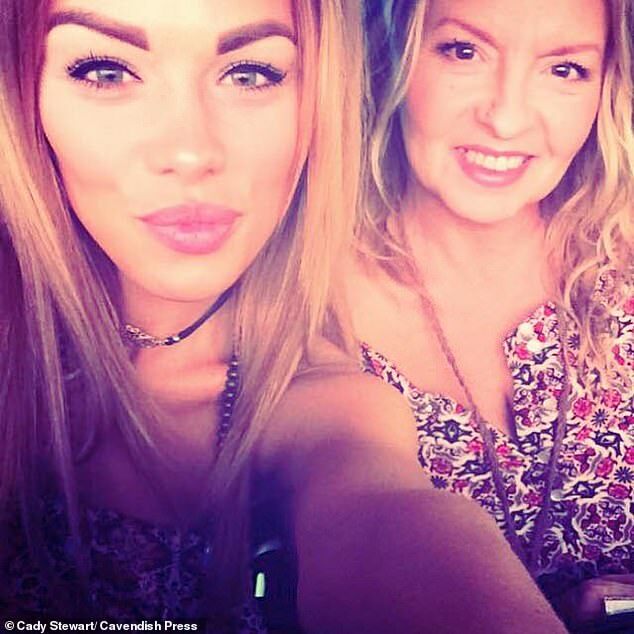 Cady Stewart and her mother Sharon lived together, ‘relied on one another’ and had a ‘close and loving bond’, an inquest heard. But Ms Stewart was overcome with grief when her mother passed away in November last year following a battle with cancer. Friends said the 33-year-old ‘didn’t want to feel happy’ and ‘wanted to feel the hurt’ in the months after her mother passed away. Last June 2, Ms Stewart, from Droylsden in Greater Manchester, wrote a note asking friends to look after her Pomeranian dog Bella before she was found in her home after taking a lethal overdose of drugs. Ms Stewart had taken a fatal overdose of her mother’s morphine which she stockpiled after her death, alongside anti-depressant tablets. She was found at home by a friend when she failed to answer texts and Facebook messages about meeting for lunch. Ms Stewart was an extra in TV shows and had jobs in hairdressing and retail , the inquest in Stockport was told. In a statement her cousin Gemma Johnson said: ‘Her dad wasn’t involved with her growing up. He did get in touch on Facebook and when I asked if she was going to do anything about it, she said no because he hadn’t been around for her her whole life. ‘She lived with her mum and spent a lot of time with her grandmother. They had a lot of sleepovers together. We were a close family growing up, I have quite happy memories of her and she was like a sister to me. Ms Johnson said Cady struggled to cope when her mother was diagnosed with terminal cancer. Ms Johnson added: ‘She struggled to cope without her. Her friends noticed that she hadn’t been eating and was losing weight. She was concerned about finances. Close friend Lisa Whitworth who found Cady, told the inquest how she found Cady on June 2 this year. She said in a statement: ‘We went round to her house and saw Bella, her dog, in the living room downstairs, which was strange as she never left Cady’s side. ‘There was a note on the door telling us to look after her. We both went upstairs and Cady was on the bed. We were advised by the ambulance to perform CPR, but sadly she passed away. Pathologist Dr Vicki Howarth recorded the cause of death as being a combination overdose of drugs. 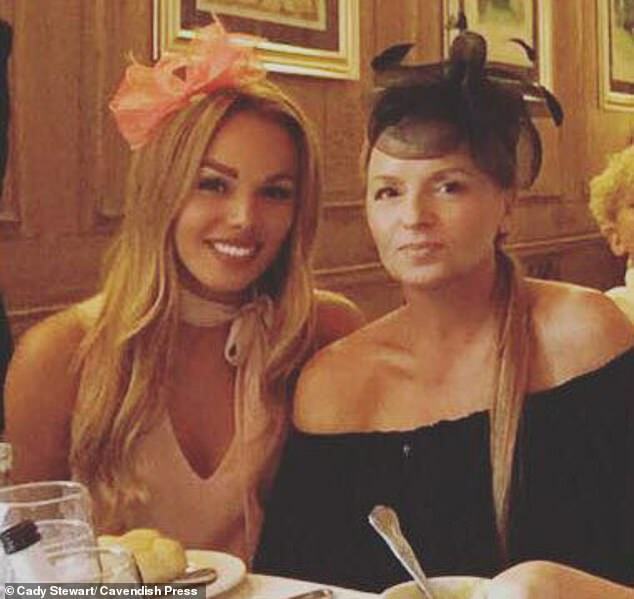 Det Insp David Loughlin said: ‘I was told Cady made arrangements to meet friends for lunch, they had tried to telephone her but she didn’t contact them. ‘When I arrived at the property there was a note asking for her dog to be looked after. Cady’s GP Dr Rajesh Gulati said: ‘I saw her on 8 November and performed a psychosocial assessment in her. She did say to me that she did feel her life was worth living and she wanted to try on behalf of her mum. ‘I prescribed her certralline which helps with anxiety and depression. But the next time I saw her she said she felt numb and she was tearful. I saw her again on 9 January, she said it had become more difficult and she was not sleeping well. I prescribed her metazapine to use in place of certralline. ‘She then phoned the reception and asked for a two month sick note, which caused me some concern as I wanted to see her and check how she was doing. She came in and I offered her a monthly sick note as I would have more contact with her and she was happy with that. ‘She had been offered grief counselling but she didn’t want to go there. There was nothing to suggest she wasn’t taking the medication. Recording a conclusion of suicide, Coroner Alison Mutch said: ‘Her death is a sad and tragic case. It’s very clear from the evidence that Cady and her mother had a very close and loving bond. ‘Cady relied on her mum and her mum relied on Cady. However at one point their relationship was affected due to her mother being diagnosed with cancer, a sudden and aggressive cancer which led to her mother dying in the beginning of November 2017. ‘Cady had been her mother’s primary carer and it is clear her death was a devastating blow to Cady. This was shown by the fact she made an attempt to take her own life. ‘She was acting on impulse and there was no intention of self-harm. She told nurses she wanted to live on in her mums memory. But it is clear from the evidence I have heard that she was good at hiding how she was feeling from her friends, family and her GP. ‘It is clear from the sheer volume of drugs that she had stockpiled them, using the opioid drugs from her late mother, and her own antidepressant drugs which she and not been taking regularly. I am satisfied that at the time of death she did intend to take her own life and she knew of the consequences. A report to prevent future deaths in relation to the restriction of opioid drugs in the community for palliative care was issued to the Stockport Clinical Commissioning Group.